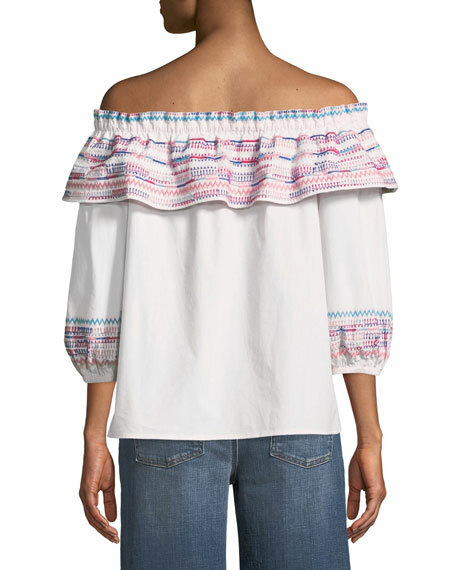 Parker "Jenay" blouse with colorful embroidery detail. Approx. 19.5"L down center back. 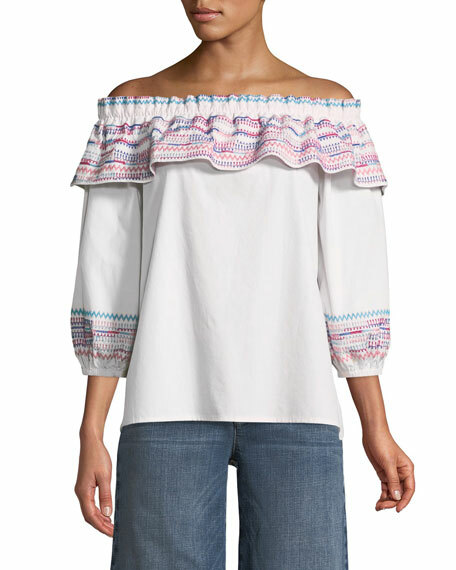 Gathered off-the-shoulder neckline with ruffle overlay.